First up this holiday season is, of course, lipgloss. 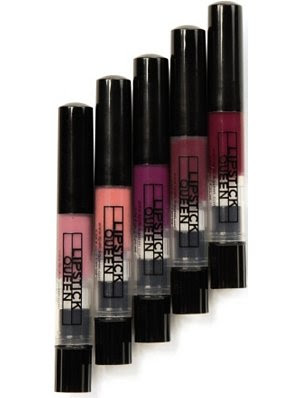 I can't live without lipgloss on my pout, and no one does it better than Lipstick Queen. My life has gotten so much more fabulous since I discovered this line -- and there are two gift sets that are simply must-haves. 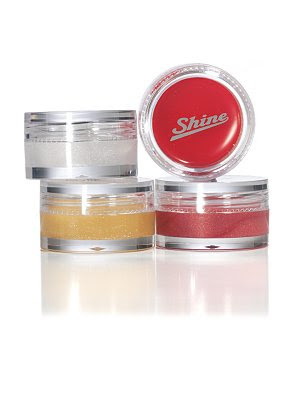 Lipstick Queen Shine Mini Kit ($24 at spacenk.com): What I love so much about Shine? It's heavily rich and glossy without feeling the least bit sticky. It makes lips look unbelievably luscious and -- you guessed it -- shiny. And with the four colors in this set (Silver Saint, Gold Saint, Red Sinner and Wine Sinner), your pout will be puckered from dawn till dusk. Lipstick Queen Five Minutes of Fame Pop Art Gloss Mini Kit ($28): This is my absolute favorite gloss out of any that have been created this year. Every single gloss in the line is flattering and gorgeous, no matter what your skin tone or color preference. This particular kit includes 3 Minutes (Smooth Apricot), 5 Minutes (Pale Peach), 11 Minutes (Vibrant Purple), 12 Minutes (Deep Rose) and 13 Minutes (Pretty Raspberry). You won't even be able to pick a favorite -- your lips will love them all! The colors looks awsome, I'd like to try them out.